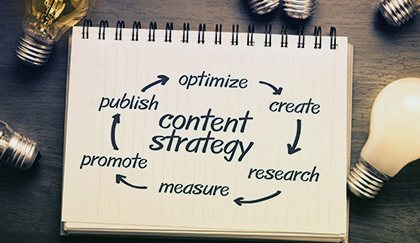 Creating quality brand content may seem like an intimidating prospect. After all, many large companies have their internal brand and marketing teams approve creative ideas, and then spend large amounts to outside agencies to produce this content. But this doesn’t have to be a complex, expensive, or slow process, especially if you don’t have the budget or resources of larger companies. Sometimes simple solutions can be just as effective. In this article, we’ll demystify the process of creating amazing branded content for your digital endpoint, whether it consists of a single 1,920 x 1,080 screen, a 4K 3 x 3 media wall, or a larger format media wall of over 20 screens. We’ll also offer cost-effective tips on how to accomplish content creation without having your brand team concept it from scratch. Many large enterprises often release annual brand videos, which have high production values aimed at impressing their audiences. However, these videos are around 3-5 minutes in length and usually unsuitable for a company’s digital endpoint. It’s better to use shorter clips of these videos of approximately 20 seconds in length that will be more effective. This process won’t be expensive or complicated, as most designers and vendors can simply cut out the appropriate segments of the original video and edit these to make a shorter video. They can accomplish this without losing any of the brand style and feel of the original video, therefore ensuring the company’s message is cohesive. Add that extra sheen by employing the services of a talented motion graphic designer who can splice pieces of the video together or create new parts with additional messaging from your team. Screen resolutions and graphical capabilities of PCs, mobile devices, and the web are continuously improving. High definition displays with a resolution of 1,920 x 1,080 pixels, and websites with a width of over 1,400 pixels have become commonplace. Colorful, detailed, and animated graphics often steal the show when visiting any modern website. Therefore, companies should leverage the creative and marketing possibilities available on their own websites. Make your company’s online presence pop, by ensuring your marketing team creates stunning graphics with messaging that’s in line with your brand. The marketing team should also focus on the layout and verbiage of your content on the home page, landing pages, and industry pages. They should comply with your latest brand specifications and avoid creating new elements that might not be on point with the brand. It’s usually a quick and easy process to repurpose your existing graphics and text in different layouts for your digital endpoint screens. All you have to do is give your vendor or graphic designers the relevant marketing PDFs, and they’ll work with these on their design applications. If the designers are having trouble separating layers from the existing collateral, then give them access to your brand portal allowing them to get a sense of the asset library. Now, they’re able to recreate almost any piece that your brand has released. Furthermore, your brand portal will help them gain a greater understanding of the type of work you expect, the approved assets they may use, and guidelines they should follow when creating original works. Working in such a manner with vendors or your own graphic design team will give them the confidence to unleash their creativity as they have a clear roadmap to follow. Ultimately, their work will excite audiences in new ways, which will only elevate your company’s brand and reputation. Your digital endpoint is an invaluable part of your company’s branding and marketing strategies. You want to create stunning branded content for it, without breaking the bank or missing important deadlines. By leveraging your existing content, asset library, company website, and reducing the size of brand videos, you’ll achieve your goals and wow your audience without sacrificing production quality.